Orlando at affordable prices, that will be an asset to your business. 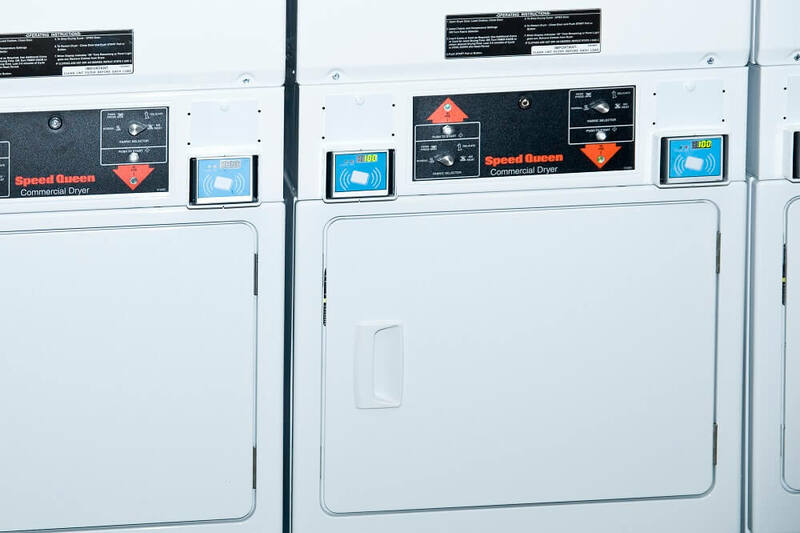 With our viable budget options, you can equip your laundry facility with the machines you need without going over your budget. money. We guarantee all of our used laundry equipment, and can even purchase your old machines to provide you with extra cash to put towards your new purchase. If you decide that used laundry equipment is not a viable option, you can also consider our popular tax-deductible leasing program. With a lease option, you can still equip your facility with the machines you need, and we can customize a lease plan that will meet your business needs and budget. Plus, our leases come with complimentary maintenance and repair services on all leased equipment for the lifetime of the lease contract. Your machines will be maintained and repaired by our own team of educated and experienced technicians and mechanics. One of our technicians will keep your machines operating at their peak level of performance and efficiency, which should please both you and your patrons. If you are in need of repair services, our technician will expedite the process for you, so that your facility is fully engaged. As our leasing partner, you gain a team of professionals that will assist you in all your laundry equipment requirements and services. We are a leading commercial laundry vendor in Florida that provides excellent laundry products and services. You can select from a large inventory of top-quality coin operated washers and dryers from world renowned manufacturers. Our machines are built with solid construction and rigorously tested for endurance, longevity, efficiency and high performance. You can buy coin operated laundry machines in Orlando that will serve your business well for many years to come. All of our Orlando coin op laundry machines are Energy Star certified to ensure that you are receiving state of the art engineered machines that provide cost-effective savings in water, gas and electric costs. You can realize a reduction in wastewater by up to 50 percent, and a reduction in hot water usage by up to 30 percent. These benefits can significantly lower your operating costs and increase your profits. washtubs to resist laundry damage during the wash cycle. stackable equipment for small spaces. residue, requiring less dryer time. You may want to consider adding some of our ADA compliant machines that are designed specifically for the handicapped community, and we also carry card operated laundry equipment. Our card op laundry equipment has advanced card technology that provides a convenient and easy way to perform laundry and bookkeeping tasks. If you want to buy coin operated laundry machines in Orlando, or learn more about our great products and services, contact Commercial Laundries Orlando toady at: 407-986-1410 and speak with one of our bi-lingual representatives.